Figure 2 shows what happens. 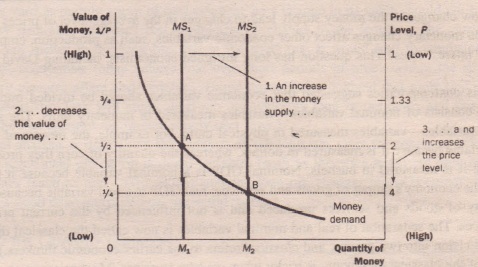 The monetary injection shifts the supply curve to the right from MS1 to MS2, and the equilibrium moves from point A to point B. 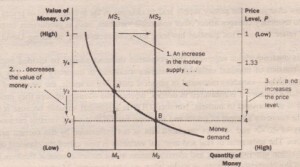 As a result, the value of money (shown on the left axis) decreases from , and the equilibrium price level (shown on the right axis) increases from 2 to 4. 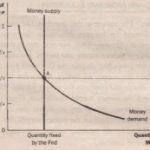 In other words, when an increase in the money supply makes dollars more plentiful, the result is an increase in the price level tilat melees each dollar less valuable. 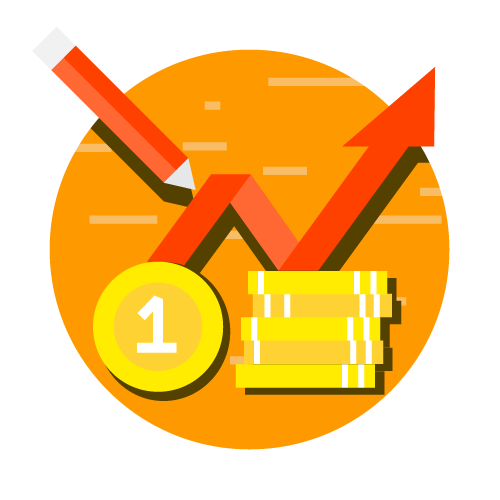 Economy determines the value of money, and growth in the quantity of money is the primary cause of inflation. 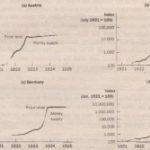 As economist Milton Friedman once put it, Inflation is always and everywhere a monetary phenomenon.